Amazing. Yesterday we published two articles on Alzheimer's and wandering. Why do People with Alzheimer's Wander and What you can do to keep them Safe? 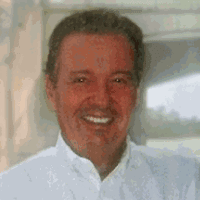 This morning it is being reported that Delray Beach, Florida resident Charles Scott is missing. Charles is 72 years old and suffers from Alzheimer's disease. He is on foot. They tried a blood hound to track him down but the hound eventually lost his scent. Mr Scott was last seen at 1:45 AM.